Pewter Report points out that suspended free safety Tanard Jackson will be able to get back on the field after the 2nd game of the regular season. 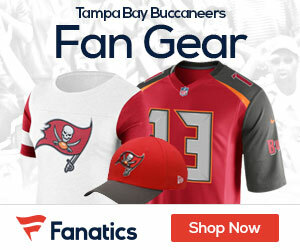 Buccaneers suspended free safety Tanard Jackson is eligible to return to after the second game of the regular season. Jackson will have to receive reinstatement from commissioner Roger Goodell, in addition to getting the approval of General Manager Mark Dominik. It’s unclear whether Jackson will be eligible to participate in training camp. He is eligible for reinstatement after game two. That does not mean he will be reinstated, nor does it mean he will return.